This is a simple recipe for turkey curry. 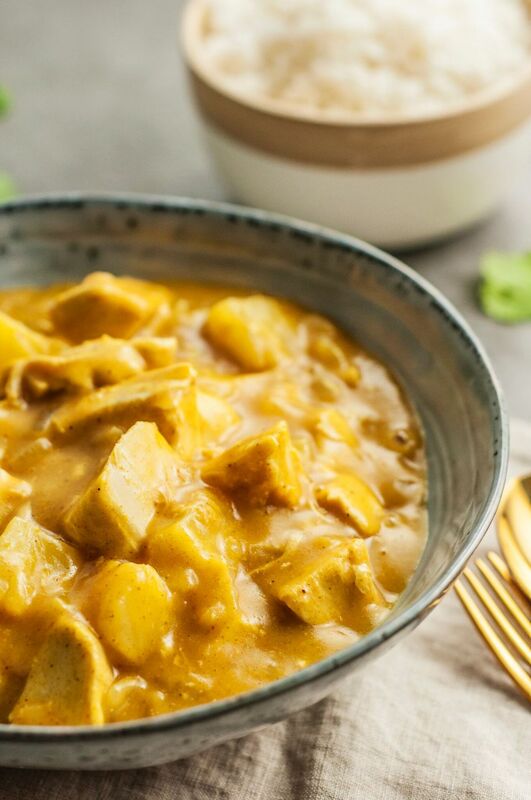 A combination of diced turkey with curry seasonings, ginger, and crushed pineapple make a surprisingly tasty dish. Serve this tasty turkey over hot cooked rice for a tasty family meal. In a large skillet, heat curry powder in butter, stirring, for 2 minutes. Stir in onions; continue cooking, stirring frequently, until onions are softened. Blend in flour and ginger. Add chicken broth and pineapple. Heat to boiling; simmer, uncovered, 5 minutes. Cover and simmer for 10 minutes longer, or until heated through. This is an excellent way to fix leftover turkey.